You may have noticed that I’ve been on a little pancake kick. Well, why stop when you’re on a roll with something so amazing? Pancakes are easy to make, versatile, and they freeze so darn well (toaster pancakes anyone?). This past weekend I decided to use Tony’s favorite flavor as a theme, chocolate. And where there’s chocolate, there’s peanut butter (or Sunbutter)! These fluffy chocolate pancakes have a little dose of peanut butter within the pancakes themselves, and drizzled on top in the form of peanut butter maple syrup. But before we get to the recipe, I have a couple of kitchen tips and tricks to share. To give these peanut butter chocolate pancakes an infused cocoa flavor, I use chocolate coconut milk beverage for the liquid. But here’s the thing. Like apple juice, I use non-dairy chocolate milk mostly for recipes, and sometimes can’t make my way through an entire quart. So, I buy the singles! These are great for carrying along in purses, gym bags, and back packs for a quick pick-me-up (love that they are relatively low in sugar! ), but I can also pop one open for the perfect recipe amount (1 cup). No waste! But what about those containers? I mean, they are pretty darn cute, too. 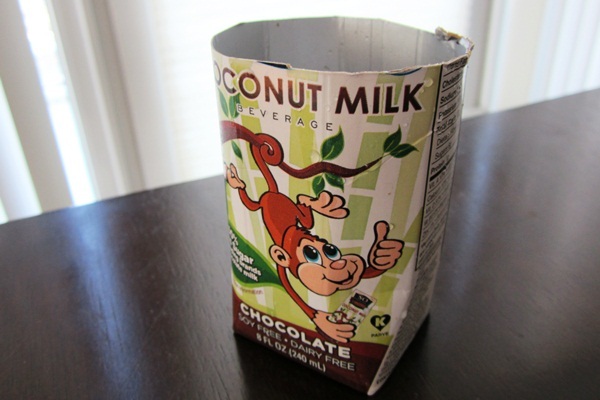 If you prefer to recycle at home, you can actually turn the chocolate coconut milk beverage boxes into seedling planters! Cut the top 1/4 off the tops of the non-dairy milk cartons, and punch fork holes in the bottom and along the bottom of the sides for drainage. Fill the cartons to about one inch from the top with a good mixture of local or high quality soil. Choose seeds that will benefit from an early indoor start in life. Soak the seeds for seeds for several days, until they start to swell up and sprout. Place the sprouted seeds about 1/4 inch deep into the soil. Water them every few days until they reach 3 to 5 inches high – at this point they are probably ready to plant. 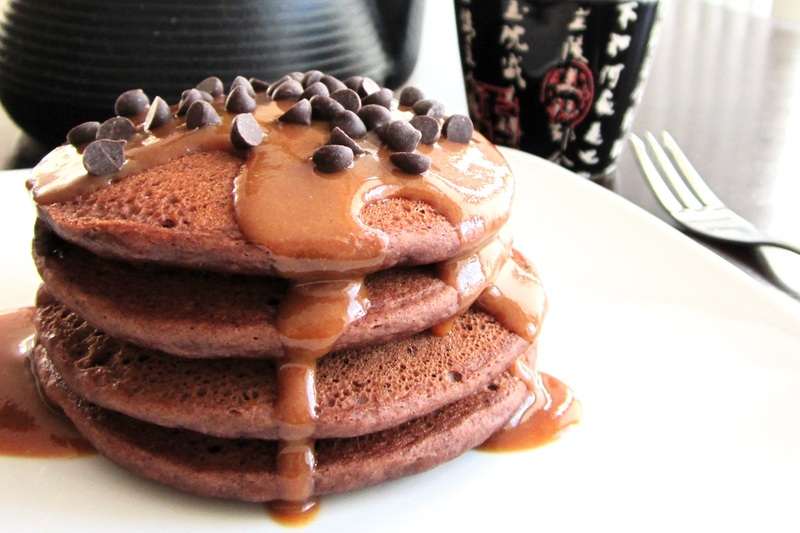 Now back to those peanut butter chocolate pancakes. To note, they are just mildly sweet and chocolate-y, almost like a mellow hot chocolate. To give a sweet burst of the bean, I sprinkle chocolate chips on top. Tony devoured the entire stack in about 2 minutes flat. Okay, I liked them, too. 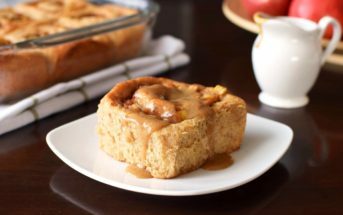 This is definitely a sweet breakfast, but we all deserve a treat once in a while, right? 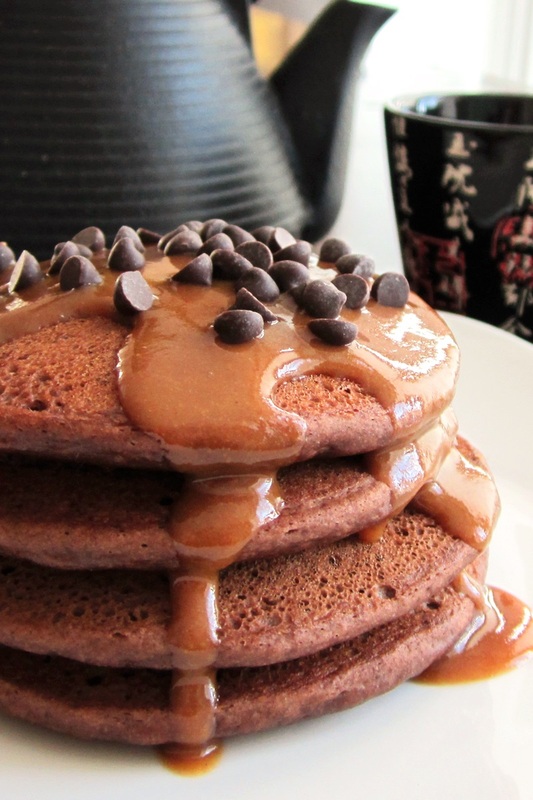 Since Tony has to eat gluten-free, I made these peanut butter chocolate pancakes with the gluten-free version, but you can use wheat-based flour, if desired. I’ve also included options for egg-free / vegan, nut-free and peanut-free, and when made as is, these are naturally soy-free, too! And yes, the coconut milk beverage is a great allergy-friendly option (see the So Delicious website for their allergen processes). By ingredients, this recipe is dairy-free / non-dairy, optionally egg-free, optionally gluten-free, soy-free, optionally vegan, and vegetarian. Whisk the flour, cocoa, baking powder, and salt in a small bowl until well combined. 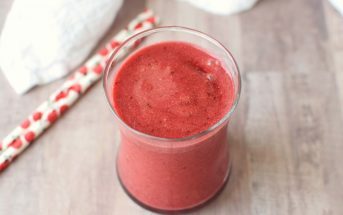 In a mixing bowl, blend the egg or egg replacer, 2 tablespoons of the peanut or sunflower seed butter, the sugar, 2 tablespoons of the maple syrup, and the vanilla, until smooth. On low speed, blend in the chocolate milk beverage. Whisk the flour mix into the mixing bowl until mostly combined, a few small lumps are okay. Let sit for 15 to 20 minutes while you preheat a griddle or skillet over medium-high heat. While that is preheating, whisk the remaining 2 tablespoons of peanut butter or sunflower seed butter with the remaining 3 tablespoons of maple syrup. If your nut or seed butter isn't salted, add a couple pinches of salt. Thin with a little non-dairy milk alternative (vanilla works nicely) or water to reach your desired consistency (I like it thick). Add it very slowly, as this can thin out rather quickly. Set aside. Once hot, grease the griddle with a little oil or margarine (I used coconut oil), and pour about a scant ¼ cup of the batter per pancake. Note that I like these a little cakey, but if your batter is too thick to pour, thin it with a little extra non-dairy milk alternative or water as needed. Cook the pancakes for about 3 to 5 minutes, or until they start to look dry around the edges. Flip and cook for 2 to 3 minutes more. 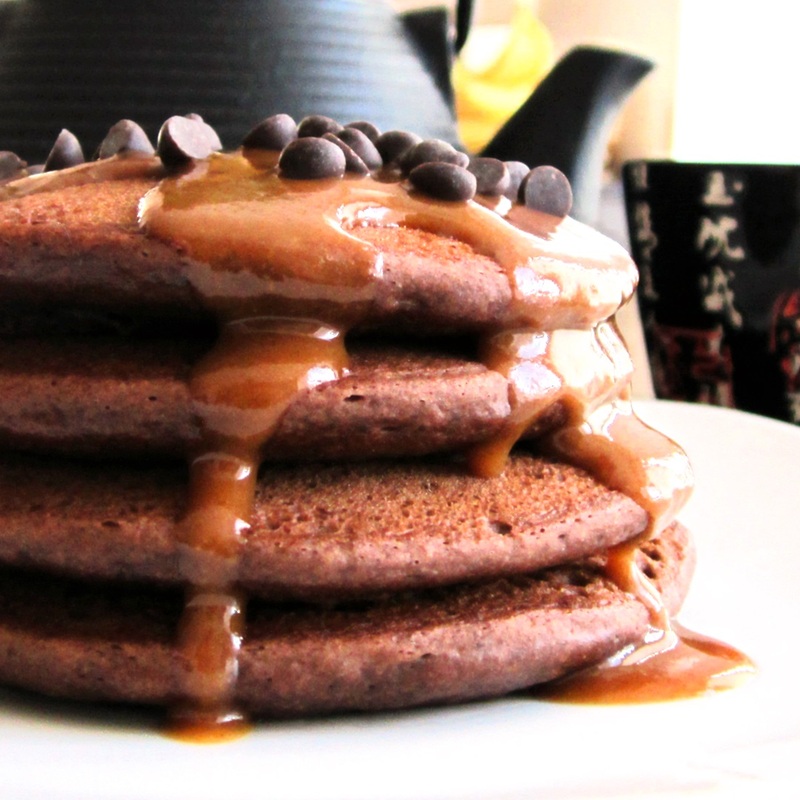 Serve each stack topped with a drizzle of the peanut butter maple syrup and a small handful of chocolate chips. Gluten-Free Option: I use ½ cup white or brown rice flour + ¼ cup potato starch + ¼ cup tapioca starch. I do not use xanthan gum in pancakes - they are fluffier without it. Could more tapioca starch be used in place of the potato starch in your gluten free blend? I am also allergic to potatoes. Yes, you can use more tapioca or cornstarch. The results vary only slightly. Can I substitute baking soda instead of baking powder? No, they are not the same. I would do a search on “substituting baking soda for baking powder” so you can see any changes that would need to be made. Another amazing post. Love this website and this lady. You are SO on a roll with the pancake love! Peanut butter and chocolate…so enamored right now. Okay, the pancakes are obviously amazing Alisa, but I’m all about your tips in this post! I love it. I always buy the bigger containers, but I always make our own nut and seed milks. So I only open the containers when I run out, or need a cup for nut-free baked goods for school. This is genius! And at first I was thinking, oh but the waste. Nope! Alisa thought of that too. You rock! 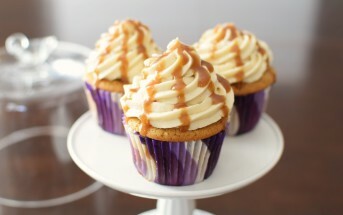 I want these in my belly! I’m forever a fool when it comes to a peanut butter-chocolate combo. Yum.